Hilary Keith, Director of the Santa Clara City Library, confirmed that the California Public Library Advocates recognized the Santa Clara City Library’s Board of Trustees as the Trustees of the Year “for outstanding service.” Attended by Santa Clara Mayor Lisa Gillmor, this award ceremony was one of the Nov. 9 events that kicked off the California Library Association’s 2018 Conference. Held at the Santa Clara Convention Center from Nov. 9-11, librarians, support staff and associates of California libraries checked out different ways libraries can serve others. 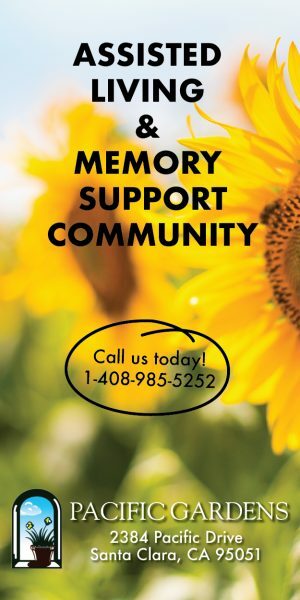 Programs offered included Programming in Spanglish: Bilingual Programs from Baby to Tween, Librarian’s Guide to Homelessness, Youth Mental Health First Aid Training, Celebrating Diversity & Multiculturalism Through Crafts, Mango Languages in Your Community and Gay Romance (an introduction to the genre with book recommendations). A number of librarians from the Santa Clara City Library presented programs. Justin Wasterlain participated in a panel about how libraries can help people vet information from various sources of media. Shanti Bhaskaran was involved in a program about adult literacy. Mary Boyle was part of a panel explaining how history and genealogy can break barriers. Megan Stroup Tristao talked about multigenerational family sagas from around the world. John Schlosser and Kelly Chiu offered tips on planning a Comic Con. Chiu also paired up with former Northside Library librarian, Angela Ocana, to dish about graphic novels, and with Tristao, to advocate for removing paperback book spinners from libraries. 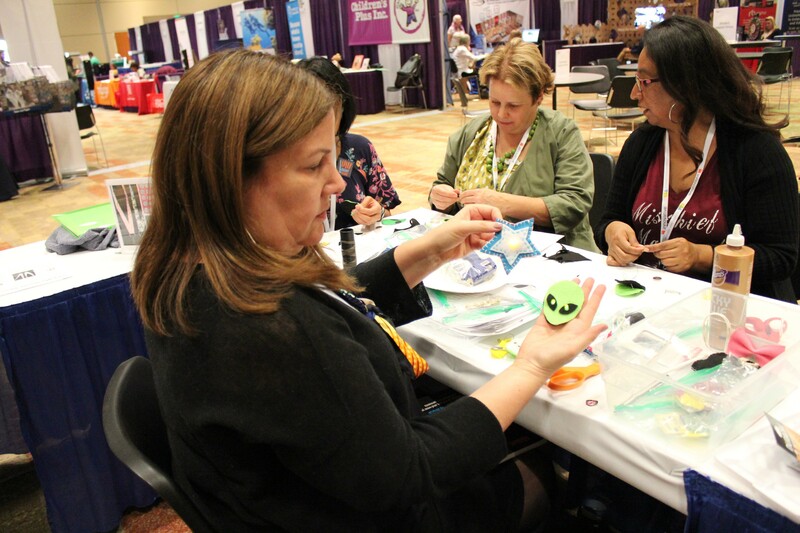 On Nov. 10, Amy Cote, librarian at the Mission Branch Library, facilitated a STEM activity in the Exhibit Hall. Also at the Exhibit Hall on Nov. 10 was Candace Bowers, Adult and Virtual Services Librarian at the Mountain View Public Library. 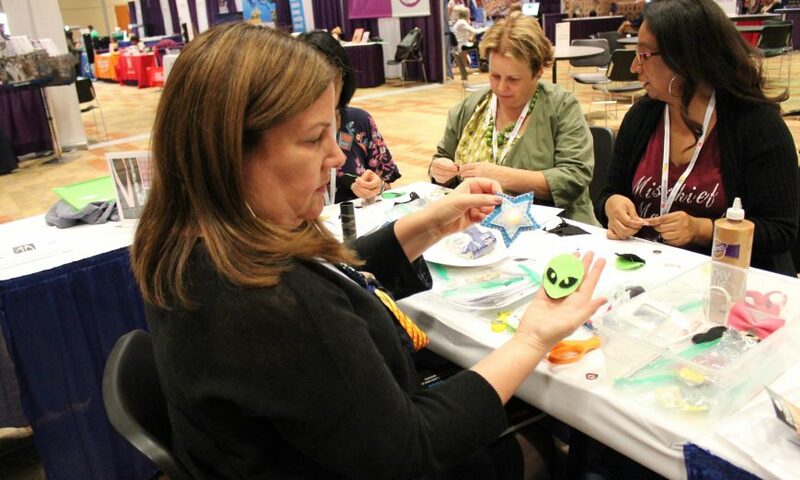 Bowers hosted a crafts workshop. Visit www.mountainview.gov/depts/library/events for information about upcoming adult craft nights at the Mountain View Public Library. Ann Awakuni Fernald, Google Search Education Fellow, worked in public libraries for 20 years. Fernald managed the Exhibit Hall’s appreciation station and passed around warm fuzzies, which are little critters with peel-off stickers. To foster a positive workplace environment, library employees had the opportunity to write a kind note to colleagues with these warm fuzzies.